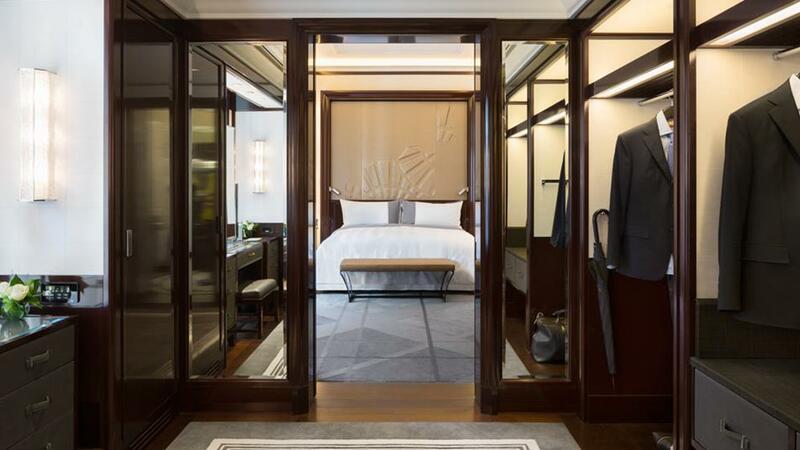 Hotel closets are the ultimate amenity for traveling in style! When it comes to travel, little beats a great hotel in my book. As much as I enjoy soaking up a city’s culture, I’m not opposed to hibernating in my hotel and taking in all the design details. And, of course, I can’t resist a chic hotel closet. As some new reports show, travelers are willing to forego a dressing room for other amenities. But, naturally, I still appreciate a stylish space to hang my wardrobe and have a place to primp. Armani Hotel Dubai -- Dubai hotels are known for over-the-top luxury, so it’s no surprise that in addition to two bedrooms, a dining room, a study and a private gym, the Armani Dubai Suite boasts a killer wood-paneled walk-in closet with multiple hanging rods and ample storage lining both sides. Burj Al Arab Jumeirah -- This sailboat-shaped hotel off the coast of Dubai embraces true Middle Eastern decadence. The opulent Two-Bedroom Deluxe Suite comes with 24k-gold iPads, a private butler, and a colorful closet featuring wood accents and a vanity. Bonus: the hotel offers professional wardrobe packing, unpacking and shoe shine services. Hotel Principe Di Savoia -- One of Milan’s most historic hotels (it opened in the 1920s), this divine Dorchester Collection destination is big on design and decor. 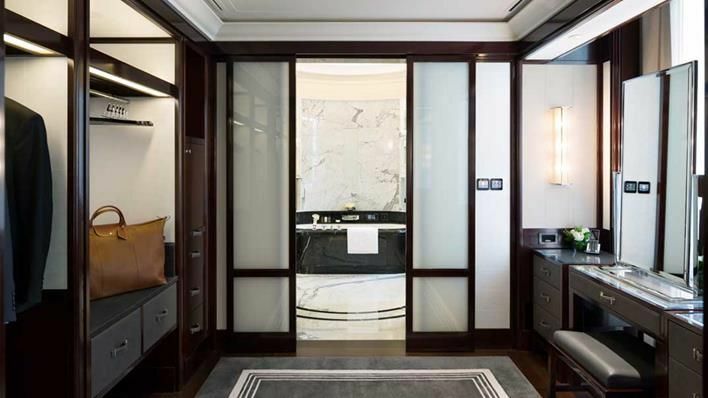 The Imperial Suite, designed by architect Celeste Dell’Anna, boasts impeccable details, including two marble bathrooms, a turkish bath and a chromotherapy system. But the best feature is the spacious walk-in closet that can comfortably house all those Prada and Dolce & Gabbana purchases. 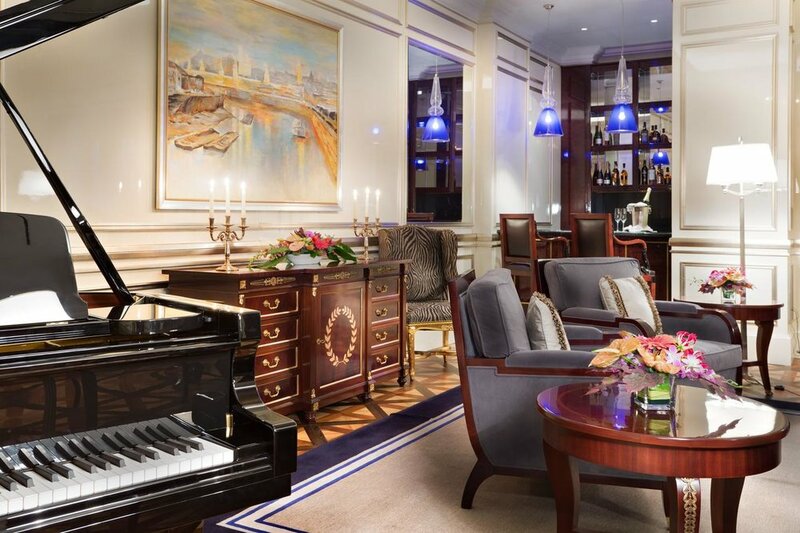 Lotte Hotel Moscow -- Truly fit for a queen, this hotel has the largest Royal Suite in Russia. Beyond the massie living room, separate study and library, and whirlpool and sauna, the roomy walk-in wardrobe is equipped with stone countertops, vanity and oversized full-length mirror. Let’s just say there’s plenty of space to store unlimited ushankas. Peninsula Hotel, Paris -- When you combine the chicest city in the world and the best hotel brand, you’re bound to get dreamy design details. 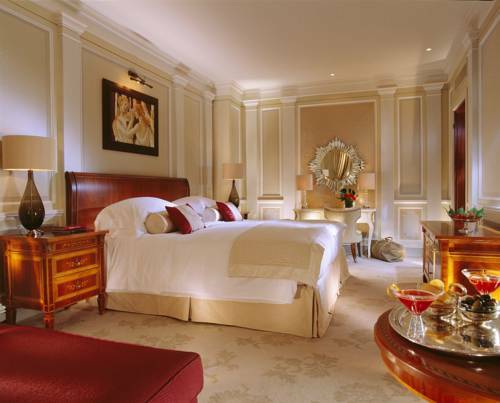 The Peninsula Suite is the pinnacle of Parisian luxury. Beyond the high ceilings, traditional moldings, a fireplace and a grand piano is the pièce de résistance -- an elegant, neutral-colored walk-in dressing room and vanity with pristine lighting and plenty of room to hang and fold designer duds (there’s even a spacious shelf to line up all the Chanel bags you collect on your trip). Love doesn’t have a final destination, so take your romance on the road.